Having been a keen listener of all music genres JK (James Kyberd) turned his hand to DJing while studying at Brighton University. On moving back to Oxford JK started working in various venues around Oxford playing an eclectic mix from House and RnB to Funk and Soul. You'll find him playing in and around Oxford most weekends, usually at The Living Room, Anuba, Camera or The Old Bank. 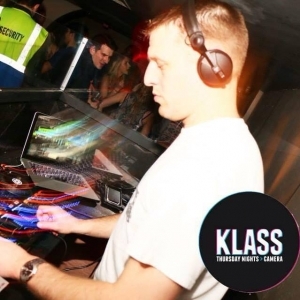 His extensive range of music covers all genres with all the latest commercial tracks and genres to include Chart, Dance, Funk, Hip Hop & Rnb, House, 70's, 80s, 90s, 00s, Old skool, Classics and underground. JK is a great all round DJ; he can entertain any crowd and will make every effort to accommodate your needs and he's also happy to work from a playlist or any personal favourites you would like on the night.